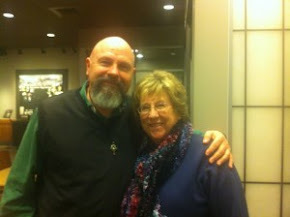 Since spending a week with Eugene in Montana back in October 2011, I feel like I'm just scratching the surface of my relationship with Jesus. I'm more excited about gospeling and undershepherding and so many other things even including participating in my franchise's stuff than, uh, ever before. I'm reading the Bible with a freshness, fervor, and faith that recalls days before I was polluted in college, seminary, graduate schools, and parochial meetings/briefings/CE with books about the Bible/Jesus/faith; recalling my best seminary field education supervisor who warned, "Don't separate yourself from God and His people by degrees." I'm being led more than leading worship. I can't get enough of...Him in a Psalm 42 kinda way. So far, here's my greatest discovery; and you can laugh at me if you've already gotten this. People who really, really, really trust God - not just pose - are blessed and overcome the negatives of everything and everyone and especially the enemy in a Psalm 37:25-28 and Matthew 7:24ff. kinda way. Axiomatically, more Jesus = more wholeness, happiness, joy, and eternal security. While we'll never be pure and perfect in every way, never outgrowing our need for Jesus to save us or fill in the gaps between our depraved humanity and His incredibly and inclusively loving divinity, we can be "more better" and, therefore, experience more of His favor/graces right now before then. Yeah, I know "more better" horrifies the grammar police. Go back to 1 Corinthians 1. All of the above - get it/Him? - has given tons and tons and tons of "more patience" to me for people who really, really, really want to move from a religion about Jesus to a relationship with Him. Conversely, I'm finding it harder and harder and harder to generate patience for people who say they love Jesus and then hate everybody else in a Christian kinda way. I've dropped the drama in my response to 'em; but my yes and no and commentary always subject to correction by Him/His as confirmed in the Bible about 'em have become strikingly and starkly salty. I live in Boone County, Illinois which has a wonderful county fair every August. It's invitational, inclusive, welcoming, and loving. I was asked what I thought about him. I said the difference between authentic Christians and posers is authentics know they're hypocrites. Then it/He really hit me. People who say they love Jesus but remain irascible, irregular, and irreconcilable need "more Jesus" and "less of themselves" in their conduct and countenance to confirm their claim of loving Jesus. It's one of the really, really, really big lessons that I'm learning as I'm scratching the surface. Simply, every problem in our world, nation, churches, families, and whatevers could be ameliorated by "more Jesus" in all of 'em. I enjoy reading your blog, but I do not understand @#$%. I usually see these kinds of symbols to represent cursing or swearing. Is that what you mean? Thanks for your question; and it has been asked many times over time since we hit cyberspace. No, it's just my way of separating sections. 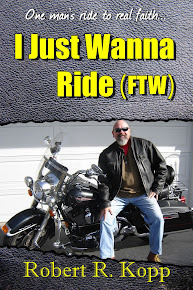 An even bigger issue has been the use of profanity in my latest book: I Just Wanna Ride (FTW). While I am increasingly convicted by divine directives like Ephesians 4:29-5:4 and do not use profanities in my verbal communications because I like to be creative rather than common in the use of language as something of a word merchant, I do not shy away - literally, academically, and authentically as an author - from using our culture's language in a John 3:19-21 kinda way; even while stressing, again, that I do not use that kinda language personally, find it repugnant to the ear, and wonder about the IQ of others who just repeat common fouls words and can't come up with something more creative. I write a lot about that in I Just Wanna Ride (FTW); so when I'm challenged about it, I realize the inquiry/castigation has come from someone who hasn't bought/read it. Ah, yes, as Tozer said, arrogance is kin to ignorance. Thanks again for asking, brother. Amen and Amen!!! What a DIFFERENCE Jesus Makes!! !